"Kingston is the best kept secret in New York State," declares the Hudson Valley's doyen of real estate, Win Morrison. He would know. As owner and founder of Win Morrison Realty, he has nearly 40 years of experience in the local real estate market. Since the '80s, his agency has thrived selling and developing properties in Ulster, Greene, Columbia, Dutchess, Orange, and Sullivan counties. Although Morrison has extensive expertise and experience throughout the region, with established offices in Kingston, Woodstock, Saugerties, Phoenicia and Catskill, he's chosen Kingston as his home base, both working and living in the historic Uptown district. "The restaurants, the theater, and the art in Kingston, as well as the surrounding areas, are really equal to none," he explains. The town's unique history as the state's first capital and its ties to the Hudson River add gravitas to the city's already plentiful charm. Having had a hand in the resurgence of Kingston over the past thirty years, Morrison knows its history—and its potential—like the back of his hand. He sees the entire city, from the quaint Stockade district all the way down to the working waterfront as ripe for investment. "The big positive has been the rejuvenation of Wall Street in Uptown, Broadway in Midtown, and the Rondout," he says. Morrison is especially proud of helping to spur the rejuvenation of the Stockade in Uptown, bringing investment and renewal from outside to polish a gem in Kingston's crown of neighborhoods. "Because of its historic value, we sold many of the buildings Uptown and were able to increase the value of the properties by finding buyers and investors outside of the area," he explains, adding that he also "sold just about everything that was on the waterfront" as well. Within a city of untapped potential, Morrison sees both the waterfront and north Kingston as particularly under-developed. "The area between Kingston and east Kingston is prime for more high-end development," he surmises, and the river frontage formerly known as the Brickyard and Sailor's Cove are "prime, prime, prime locations." In fact, he says, "the Kingston waterfront is virgin territory." Kingston is also perfect for high-end contemporary residential development. 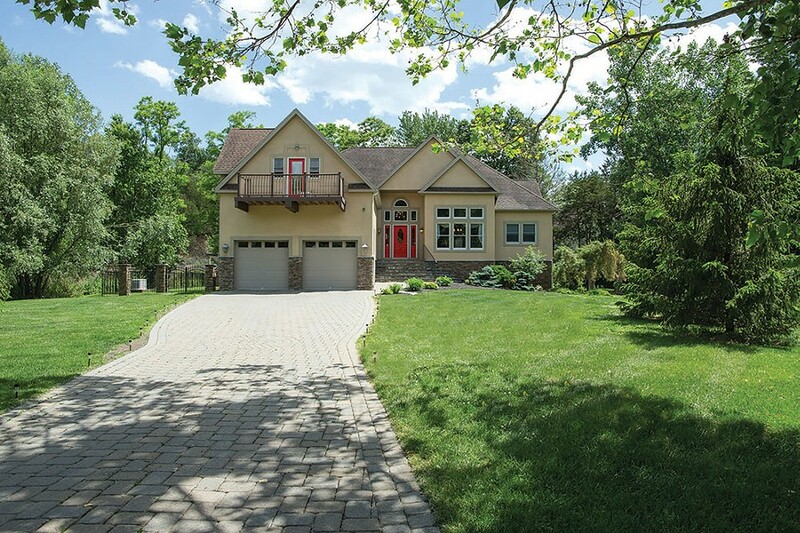 Win Morrison Realty's listing at 53 Allison Court is a beautiful example of the area's affordable luxury. Located near the Hillside Acres section of Kingston, this private mini-estate has five bedrooms and three baths, soaring high ceilings, and wood floors. Sleek quartz and stainless steel finishes complete an open plan kitchen with modern appliances. Built in 2002 the property also features a pool, garden and cabana, exemplifying how Kingston offers unparalleled country living within a short drive of an vibrant urban arts, culture, and culinary scene. 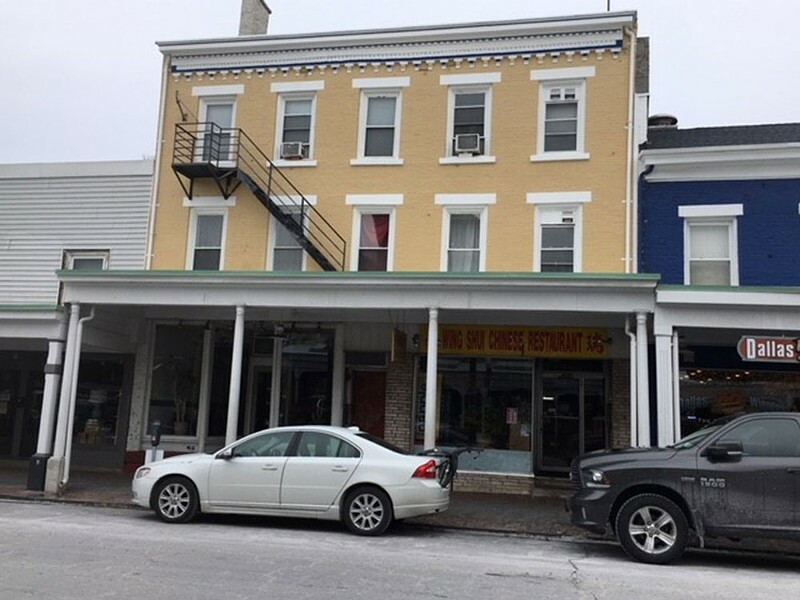 With a historic flair that typifies the Stockade district's character, this c.1900 flat-roofed building is a great example of the city's commercial potential. Ornate corniced eaves set off the roofline, with decorative windows and a street-level portico below. The three-story building is also well-positioned in the heart of Uptown's bustling shopping district to be at the forefront of the city's revival. The building's mixed-use format, with a restaurant, office, and storefront at street level and four apartments above, exemplifies the work-life balance most people strive to achieve. Morrison jokes, "In two more years, there's not going to be anybody left in Brooklyn, because they're all moving up here." Visit the Win Morrison Realty website for more information on these or other properties.